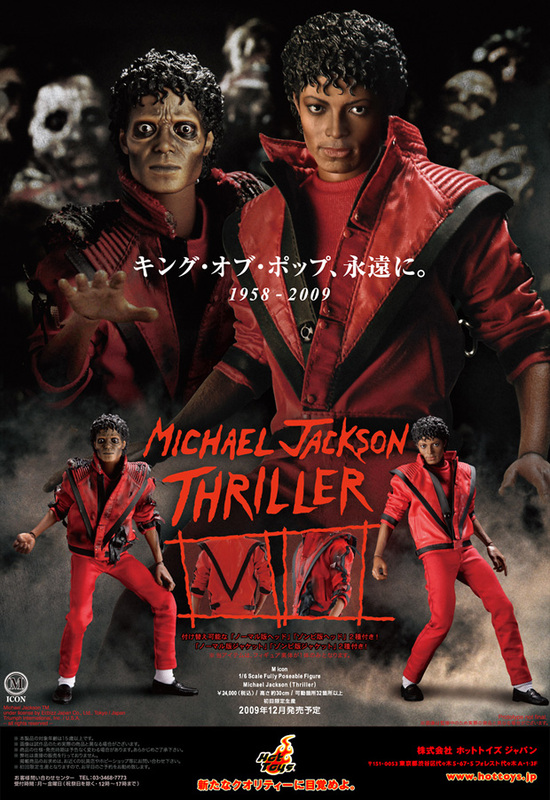 Paying tribute to the King of Pop, premier vinyl specialists Hot Toys work up a new set of Michael Jackson figures, showcasing the masterful work exhibited on his famous Thriller music video. The figures will come in a 1/6 scale, featuring all the intricate details one would come to expect from a Hot Toys release. A launch is set for December 2009 with a suggest retail price tag of ¥24,000 (Approx. $255 USD).